Join us for a night of learning and leaning in. Join us for a fun night where we can dig deeper into who Christ has called us to be! Food, fellowship, chair massages, crafts, and an amazing guest speaker that will walk us through understanding the Enneagram. RSVP TODAY! The cost is $35. For more info about the Enneagram use the links below! Are you a 2? Are you a 9? What does it all mean? What is an Enneagram? At its core, the Enneagram helps us to see ourselves at a deeper, more objective level and can be of invaluable assistance on our path to self-knowledge. On this night we will have a very special guest to take us on this journey! Rachel Blackston, M.A., M. Ed. Rachel considers the counseling room a sacred space. She has had the honor of counseling since 2005 and believes it can be a life-changing process for clients where deep heart change occurs. She specializes in working with women with a history of trauma and abuse as well as those struggling with infertility and sexual betrayal. 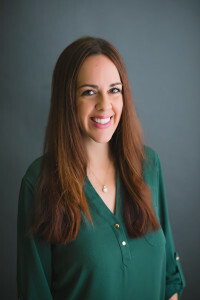 Rachel is trained in EMDR, an evidenced-based therapy that helps clients recover from past disturbing events which continue to impact their mind and body. She is a Qualified Supervisor and provides supervision for mental health counseling interns. Outside of counseling, Rachel serves as an Adjunct Faculty member at Reformed Theological Seminary and writes regularly for the blog Red Tent Living. She enjoys speaking in the community on topics such as the Knowing your Story, Sexuality, Attachment, Calling and the Enneagram. Rachel’s deepest joy is found in being in the presence of her husband, Michael and their three daughters, who are priceless gifts after several years of infertility. Among her closest friends, Rachel is known for her love of deep connection, the darkest chocolate and boldest coffee she can find and a competitive game of Catchphrase or Apples to Apples.